The first question your organization should ask is whether a silent auction is right for you? Keep in mind that in order to raise a lot of money, your silent auction will either need a large number of items to auction or alot of attendees bidding on some high dollar items. Either way, a silent auction is hard work, time and resource intensive. Before planning your auction, decide if the return is worth the investment for your organization. If you’re organization decides that it is, then consider these tips to run a successful silent auction. 1. Match the silent auction items to your attendees. Your organization should know your attendees best. What are their interests? What are their needs? How much money they are willing to spend? Are the attendees younger or of an older demographic? Will you have more men or women? Answering these questions will guide you in identifying the items to include in your silent auction fundraiser. 2. Choose carefully where and how your silent auction will be displayed. 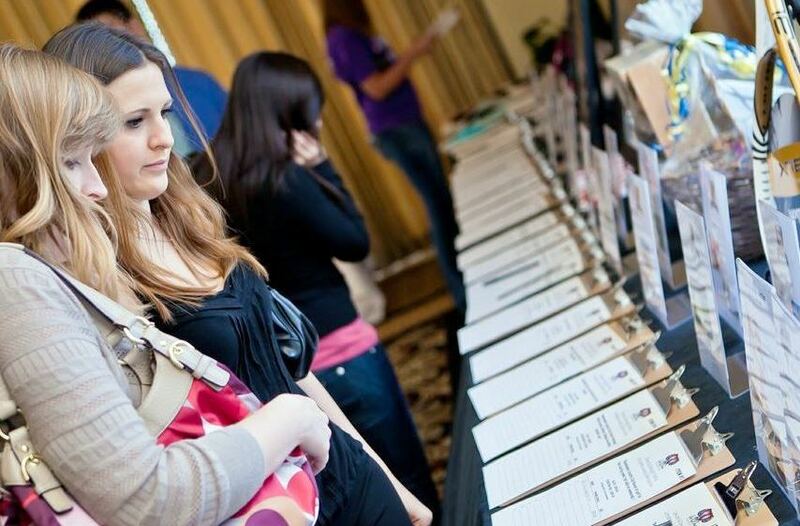 You definitely want maximize exposure for your silent auction. It is very important to highlight and display your items in various ways such with unique lighting, decorations and different heights. Ensure that the flow in and around the items is adequate to make sure all can see them. If you can use high top tables even better. Get maximum visibility by displaying your items closer to eye level and near the bar. Spacing the times when bidding ends on certain items or tables can ensure a smooth payment and collection process for your team and successful bidders. Higher priced and highly desirable items should close out near the end of your event to entice your guests to stay until the very last minute. Silent and online auctions have become favorite fundraising methods for many nonprofits. There are fundraising software platforms to help make your silent auctions more efficient and more fun. Cause Events online fundraising platform has a robust silent auction module with all the tools necessary to ensure your event is a success! Auctions typically mean there will be more losers than winners and some will come away disappointed. Provide ways to support your mission by setting up an area where losing bidders can make a donation and walk away with a gift. One idea is to sell swag bags with low-cost goodies, t-shirts and souvenirs of from your event. Be sure to include information about your charity’s story. Your attendees want to participate. Don’t let anyone leave without having had a chance to contribute and support your cause. Every effort should be made to process bid sheets and payments quickly and easily. Designate several pay stations to avoid long lines. Cash, checks and credit card payments should be accepted. You can process credit cards using Cause Mobile Wallet, our application that donates back to your cause! You must accept credit cards or your organization stands to lose a significant portion of potential donations. Use your online presence to advertise the event and offer pre-bidding. Splash it out on social media and promote it on your website. Top online bids will be the price-point where the bidding begins. Accept online donations from supporters who may not be able to attend and live-stream over Facebook it to encourage attendees to contribute. One of the biggest challenges in fundraising is continually finding new prospects to engage with your organization. By asking local businesses to donate items for the silent auction, you can introduce them to your organization. Don’t simply send a thank you letter, stop by in person, support their business in any way possible. Keep the informed and engaged. During and after the auction, develop relationships with your attendees, many of whom may support you for years to come. A silent auction is a popular, profitable fundraising strategy for your organization, delivering plenty of bang for your buck. If you’re holding an event, it just makes good, common sense to mine the occasion for every perk it can deliver.